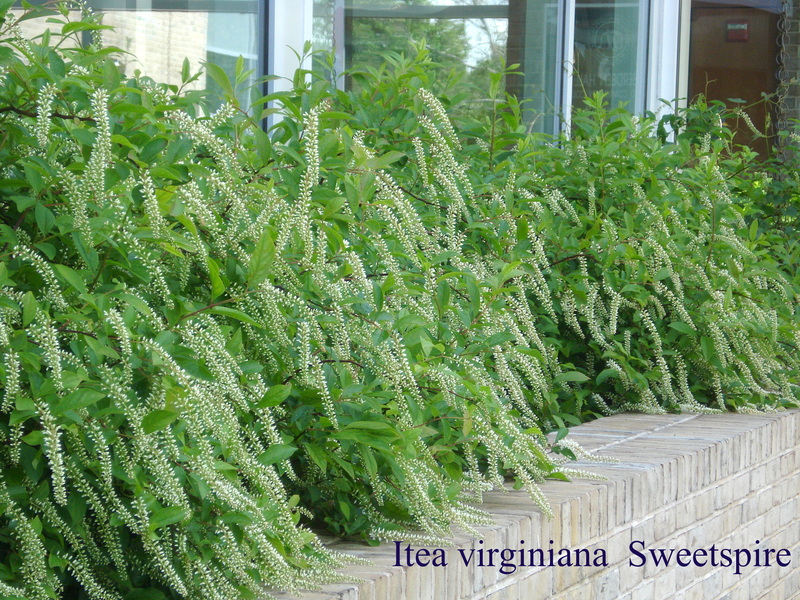 Itea virginica is a delightful shrub with alternate, simple leaves, on arching stems. The flowers are fragrant and white, usually borne in early summer. It is a deciduous to semievergreen shrub and grows from 3' to 6' tall. It is a multistemmed, spreading and colonizing plant. The stems branch infrequently except at the tops. It features fragrant, tiny white flowers borne in cylindrical, drooping racemes (3-6" long) which cover the shrub with bloom in late spring to early summer. Oval, dark green leaves (1-4" long) turn varying shades of red, orange and gold in autumn. It exhibits a long period of fall color, with leaves often persisting on the plants until early winter. We usually carry 'Henry's Garnet' and 'Little Henry', as well as the species. It is easily grown in average, medium to wet, well-drained soil in full sun to part shade. Adaptable to shade. Prefers moist, humusy soils, but tolerates a wide range of soil conditions. Can form dense colonies by root suckering if left unchecked. A versatile shrub for sun and shade. Nice as a specimen, group or mass. Shrub borders, open woodland gardens, foundations or hedges. Mass for a shrubby ground cover effect. Naturalizes well in wild or informal areas. Also a good selection for wet locations such as low spots or pond/stream margins.